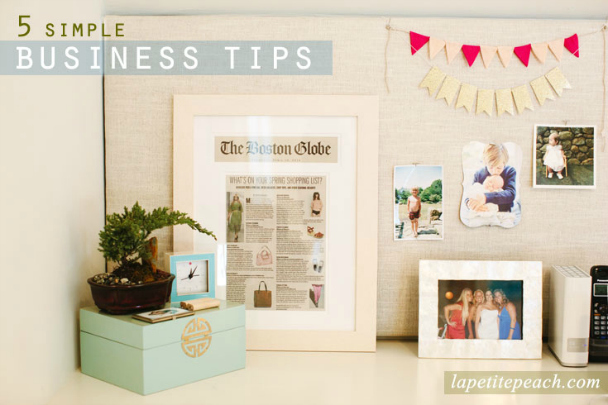 Over the past six years I have learned a TON about running a business and I thought it would be fun to share tips I’ve learned along the way. My professional journey has been peppered with some small successes as well as many failures. Of course you learn more from the mistakes you have made, but I have also learned from the mistakes of others! I would LOVE your feedback and experiences in the comments section below! 2. Make it Easy for People to Contact you! There is nothing worse then going to a website, and not being able to find an email or person (a real person) to contact anywhere. MAKE IT EASY for clients, press, vendors, anyone to contact you or they will move on! I know most people have a contact form, but if you don’t have an actual email on your site, it’s sort of like saying you don’t trust your potential clients enough to give them a real email to get in touch with you directly. It seems like a weird way to start a professional relationship! 3. Send Fan Mail: Every now and then, I send a blogger, photographer, or other creative entrepreneur that I admire, fan mail. In other words, I email them a genuine note of appreciation for what they are doing, and I expect nothing in return. Just a nice old fashioned (well its email so not that old fashioned) letter. I really believe if you put it out there it will come back around. 4. You Are Only as Good as Your Last “Fill in the Blank”: Blog post, photo shoot, hair client, consulting session etc. Insert your last job here. You should always do your best work, and put your best work out there! 5. Show up: This is like the one thing I am the hardest on myself about. Because sometimes I can’t get a sitter, or leave my kids, or get out of a meeting etc. SO when I show up, I make the BEST of that meeting, coffee catch up, hang out with friends, phone call, brain storming sesh, whatever it is. I show up MENTALLY! I owe that person my best, so I keep my phone in my purse and I give them my 100%. My MOST important tip I have recently become better at is to have GOAL! What is the goal? Sit down and really take this in and think about it, then write it down or type it up. Is it to have 500k Instagram followers? Do you want to double your profits next month? Maybe you want to leave you job and travel! Whatever it is, WRITE it down and then really brainstorm HOW you can achieve the goal and in what particular time period. I have a ton of goals, but when I put pen to paper, they come out different. It can really give clarity to what you are trying to achieve. I highly recommend the Passion Planner!